Umekoji Park is a welcome patch of green in one of Kyoto’s more built up areas, about 15 minutes walk north-west of Kyoto Station. Previously the site of the JR freight railway, in the early 1990s it was converted into a city park, which opened in 1995 providing local people with a wonderful space in which to enjoy, trees, grass, flowers and clean air. 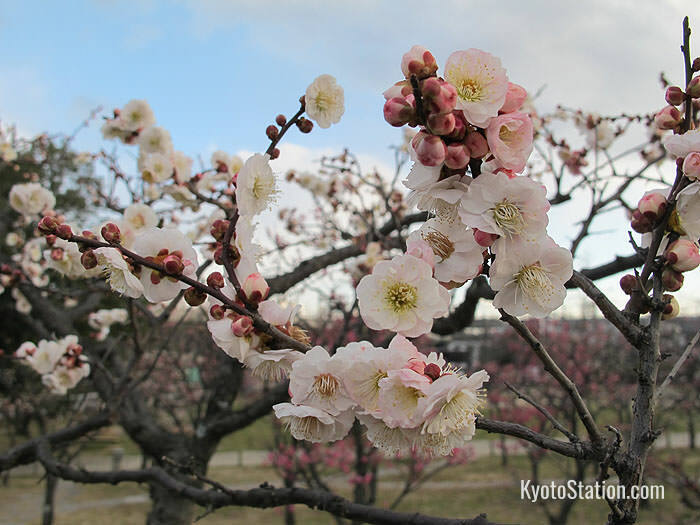 Within the grounds of the park, are many seasonal flower displays, a plum blossom orchard, woodland, a stream which is used to teach local children about local wildlife, and most importantly a large open grassy field. This field is used by young and old alike for important activities such as sports, games, picnicking, dance practice, tai chi, sunbathing, and frisbee throwing. 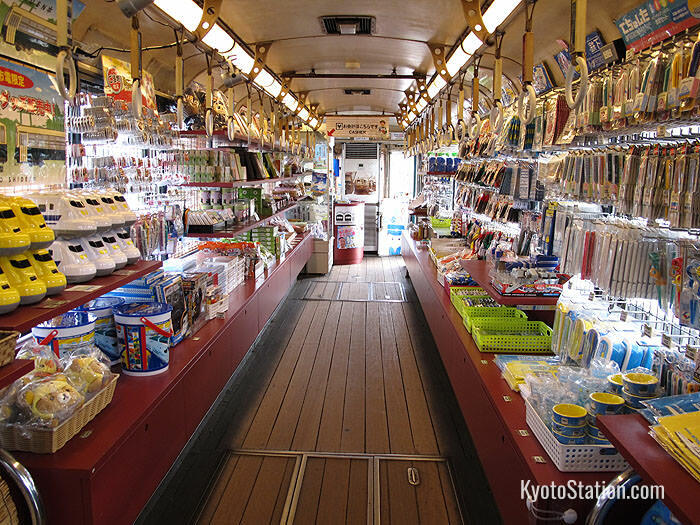 The park also has some of Kyoto’s now defunct trolley cars on display. One of them acts as a small museum, and contains historical information and pictures of the old tram lines. In another there is a small souvenir shop, and another has been converted into café serving drinks, crepes, ice creams and hot dogs. 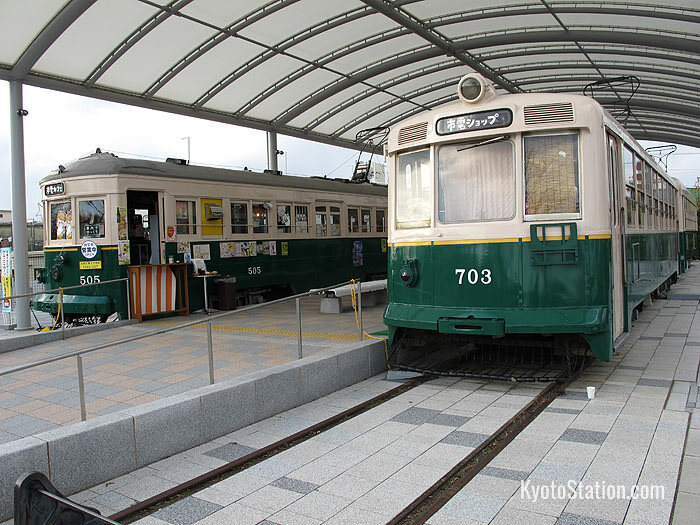 Two of the trams have been left just as they were in the old days, so you can climb aboard and imagine how they glided through the streets of downtown Kyoto almost 40 years ago. 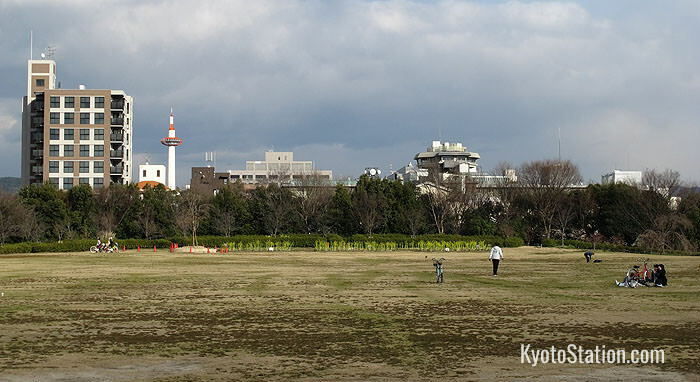 Umekoji Park is located about 15 minutes walk from Kyoto Station on the intersection of Omiya Street and Shichijo Street. The peace and tranquility of the park was disturbed in 2010 by the controversy that erupted over plans to build an aquarium on a section of the park grounds. Local residents objected strongly against the Orix Corporation plan for several reasons. They pointed out that the land had been promised to city residents as parkland in perpetuity, and they objected to the lack of public input into the decision to build there. Some protestors, concerned about animal rights, also spoke out against plans for a dolphin show in the aquarium. They felt that the pools planned for the site were too small for the animals, and that the capture of wild dolphins for the show, would damage Kyoto’s image by associating it with Japan’s controversial dolphin hunts. City officials however, said that the aquarium was needed to bring much needed tourist revenue into the area, and the city mayor insisted that the dolphins would be captured chiefly for scientific research purposes. Despite the protests, construction went ahead, the aquarium opened its doors in 2012, and now the sound of music and announcements from the dolphin shows rolls across the park. 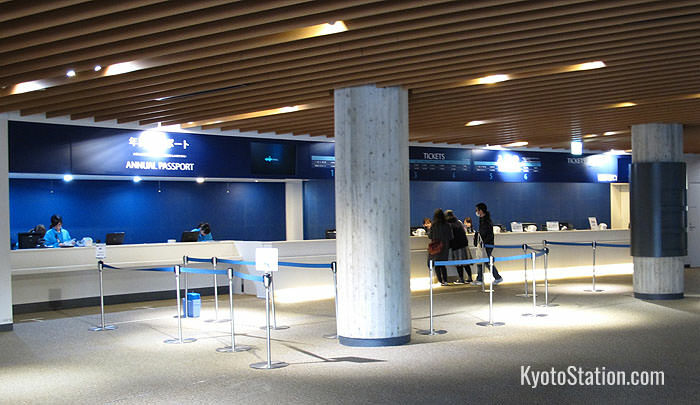 The buzz word of Kyoto Aquarium is “edutainment”, and it tries hard to be a facility that teaches children about water resources, aquatic life and the environment in an entertaining way. One common criticism of the aquarium was that it was unsuited to a city so far removed from the sea. 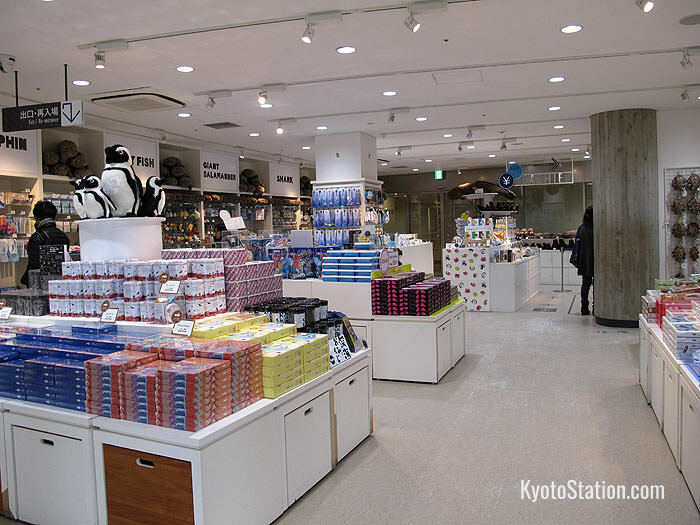 In response, displays on the “Rivers of Kyoto” and the “Countryside of Kyoto” have been included, and in these are kept a collection of giant salamanders, an endangered Japanese species. However, the biggest draw for the facility is the collection of penguins, seals and dolphins. In the years since it opened the aquarium has become a popular rainy day location for families with children and is usually very busy. Among its facilities it also has a souvenir shop and three cafes serving soft drinks, chicken burgers, ice cream and sweet breads. Whatever your feelings about animal rights, there is no question that the dolphin show with its music, drums, and amplified announcements is very noisy. If you are hoping for a quiet stroll in the park, you may want to check the show’s schedule in advance and time your visit accordingly. 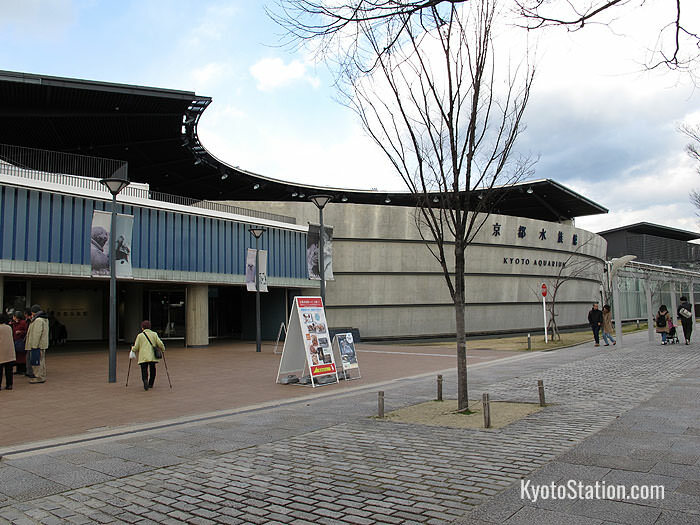 The Kyoto Aquarium is located on the north side of Umekoji Park. 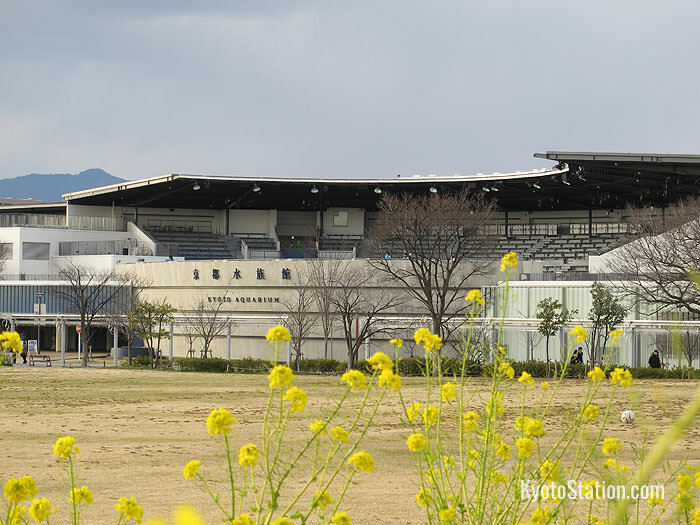 Until 2015, there was a Steam Locomotive Museum on the southern end of the park, but this has now closed, and now replaced by a new Kyoto Railway Museum. Much larger than the former museum, the new museum includes 53 railway vehicles, a giant railway diorama, steam locomotive rides, and a train operating simulator. It is Japan’s largest railway museum.